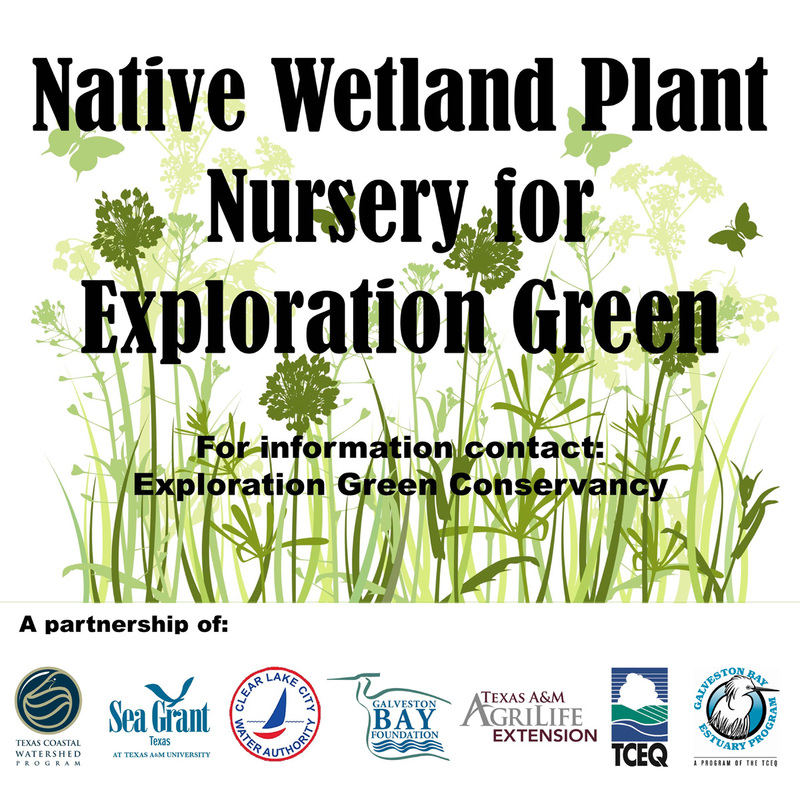 The Texas Coastal Watershed Program will host visitors and volunteers at the wetland plant nursery from 9am to 12pm, as part of the Exploration Green Earth Day. Have some muddy fun for a good cause! Join TCWP staff as we demonstrate how to propagate plants in the wetland plant nursery, then it’s your turn to get new plants potted up. When you are ready to take a break, try our wetland scavenger hunt and see the range of plants and aquatic animals that call the nursery home. See other activities planned for the event, from a cyclo-cross biking exhibition to geocaching. The nursery is near 1801 Neptune Lane, Clear Lake City (Houston) 77062. Park along the street near the bridge (from which you can see the nursery) and take the northeast trail.